Nick, a 37-year-old former software salesman who recently launched The Polished Gent line of grooming products, will guest-star opposite Minnie Driver on ABC's sitcom Speechless, People reported. "Nick will play a hunky B-movie actor who takes his craft way too seriously," the network teased of Nick's role, according to the magazine. "After befriending JJ (Micah Fowler) on a set, 'Tyson' summons all his powers for the performance of a lifetime, deceiving Maya and Jimmy to get JJ out of hot water." Speechless chronicles a family as son JJ, who has cerebral palsy, navigates high school. The reality TV star's episode reportedly tapes next week and will air in late November 2017. A source told Entertainment Tonight in July that Nick had resumed acting classes at a studio in Los Angeles after taking a brief hiatus to film The Bachelor in 2016. Nick had reportedly enrolled in a 4-6 week intensive acting course and attended one class per week to learn the basics at the time, followed by some comedy skills. Due to Nick's venture into acting and apparent desire to remain in the limelight, critics of the current Los Angeles resident have wondered if he truly starred on The Bachelor to find love. 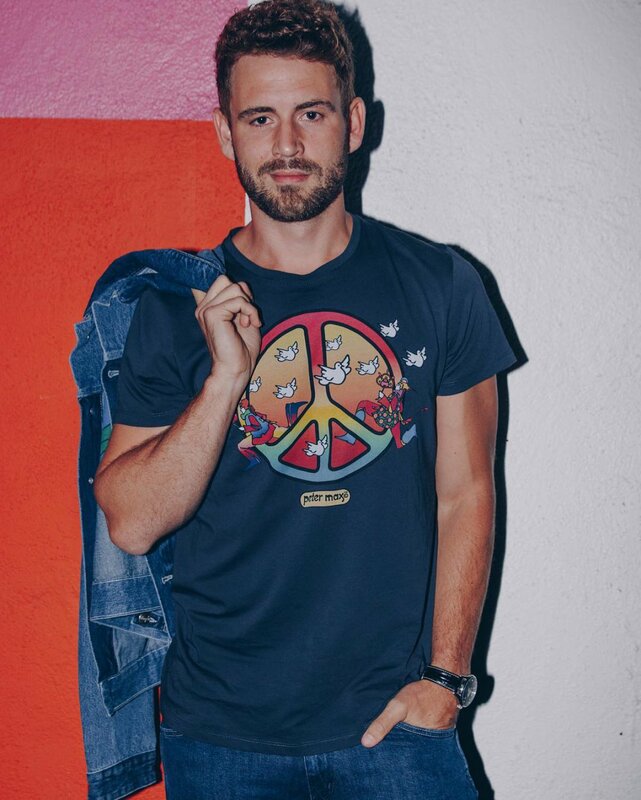 Prior to his stint on The Bachelor -- on which he proposed marriage to Vanessa Grimaldi, with whom he split in late August -- Nick also appeared on Andi Dorfman and Kaitlyn Bristowe's seasons of The Bachelorette, as well as Season 3 of Bachelor in Paradise last year. The Bachelor's nineteenth-season star, Chris Soules, told ET in March that Nick "loves being famous." "He loves the spotlight, he really, truly does," confessed the Iowa farmer. "If he wouldn't admit that, he's lying. I love the guy to death and there's nothing wrong with that." Nick, however, always insisted that his search for love on television was sincere and genuine, and that he was ready to settle down with the woman of his dreams. But he recently told Ashley Iaconetti and Ben Higgins on their Almost Famous podcast that he's nowhere near ready to date again after his failed engagement. The Bachelor returns with its 22nd season in January 2018 and will star professional racer turned real estate agent Arie Luyendyk Jr. from Emily Maynard's season of The Bachelorette.